Awesome Project: There’s a River in LA? Picture this: You are kayaking down a river, passing in and out of the shade of sycamore trees, drifting by the occasional snowy egret. Every once and a while, you identify a ripple in the water as the movement of a carp flitting past your boat. Occasionally, you hear an 18-wheeler screech to a halt overhead. The above is not a fantasy, but rather what you might experience if you were kayaking along the Los Angeles River, a 51-mile long waterway that snakes through the city and into Queensway Bay. The river has famously been portrayed as an oversized concrete ditch in movies Grease and Chinatown, and for good reason: its riverbed was almost completely channelized in concrete by the U.S. Army Corps of Engineers (the “Corps”) after a series of floods in the early 20th century. Today, the river is part wild, part man made. Converting the river was largely successful in curbing damage, but it also restricted how Angelenos get to interact with water. Wolfe would know. 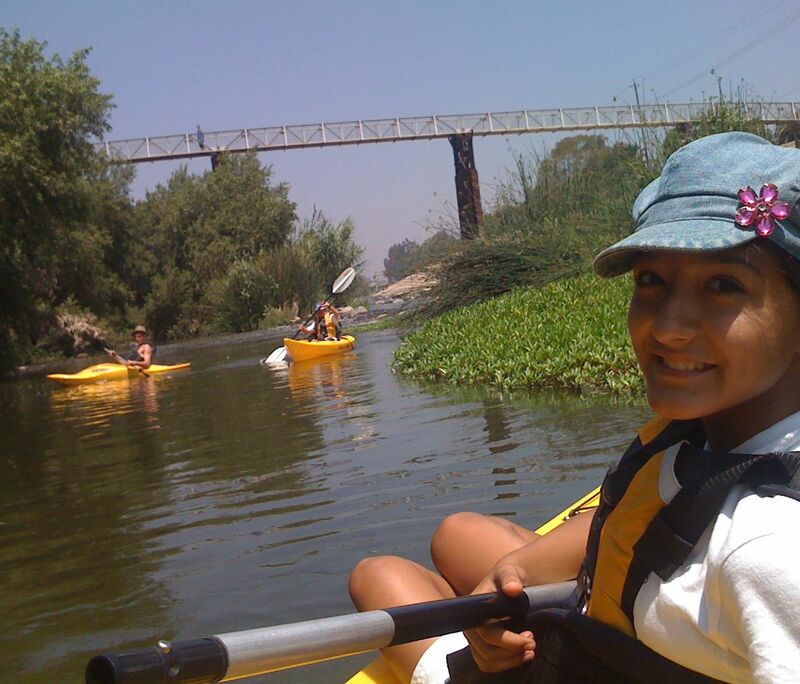 In response to a 2008 EPA ruling that the LA River was not “traditionally navigable” and therefore not a river, Wolfe and a group of advocates kayaked the entire length of the waterway to prove that it was (against the wishes of the Corps and the County). In 2010, the EPA revised a previous ruling and the river was deemed ‘navigable,’ and, therefore, a waterway protected by federal law. However, it is still not 100% publicly accessible. Safety concerns persist, and until advocates can prove that less-skilled boaters would be able to ride the river responsibly, it will remain a permit-only waterway with limited seasonal use. Luckily, steps are being taken to transform the river from movie set to public recreation space. Last year, LA River Expeditions—led by Wolfe in partnership with the Corps, the City, and many other groups—created a pilot program to offer boat trips to the public. The 300 tickets sold out in ten minutes—at 7am on a Tuesday. Safety was a major component. “It was one of the safest programs in the country: one staff boater for every two or three participants, rangers with defibrillators, helmets,” Wolfe described. This summer, LA River Expeditions hopes to open the ioby project to 40 Los Angeles children, providing a safe and educational experience for boaters of all ages and experience levels. Schools and youth organizations from around the area have been clamoring for the opportunity to take part in recreational boating opportunities. 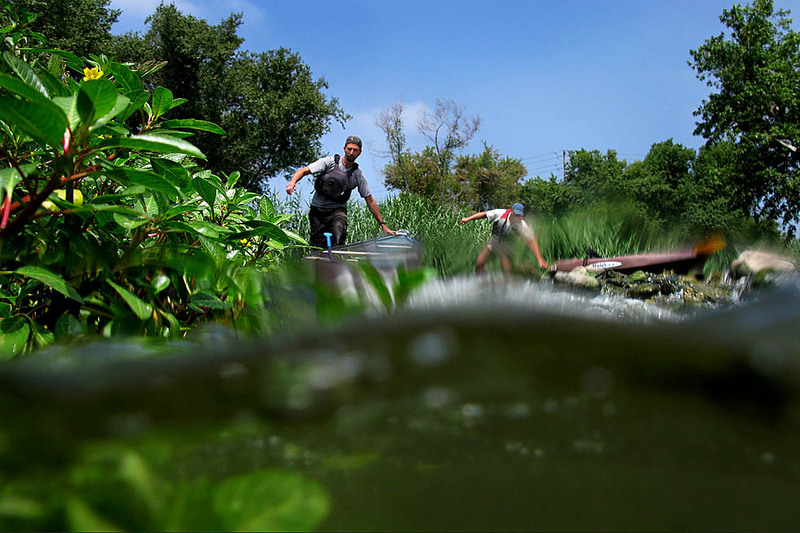 LA River Expeditions–though expert in navigating concrete channels– has teamed up with American Rivers (AR), a national waterway advocacy group, to navigate the legal channels. “This is an opportunity to expand access and enjoyment of rivers,” said Steve Rothert, 47, American Rivers’ California Regional Director. Accessibility is a critical piece of the LA River’s allure. Unlike most other waterways throughout the Los Angeles Basin, the LA River is accessible by public transportation and borders 31 different neighborhoods throughout the city. Expanding access to the river would allow millions the opportunity to interact with nature without leaving city limits. The river sits at the center of an ongoing plan to revitalize the city’s public space. “The city and county of Los Angeles have both been planning for the past ten to 15 years to revitalize the whole river corridor,” Rothert said. “We think the more people that see the river, the more support there will be to open it up for wider use.” The plan has been a long time coming, but could take decades to be realized. 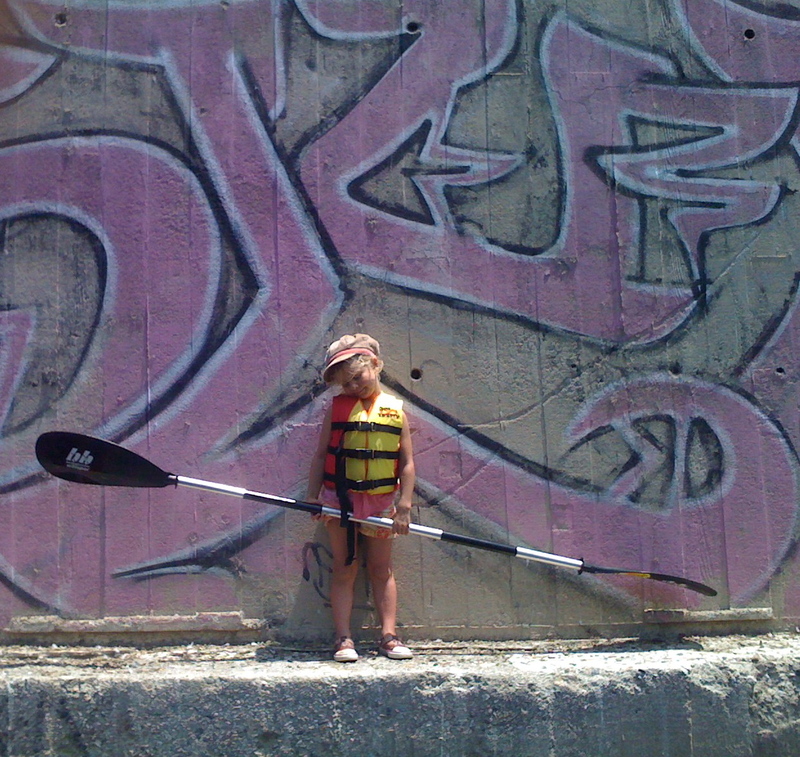 “I just don’t have that kind of patience,” Wolfe explained, which is why LA River expeditions and AR are raising money for Adventures for Kids on the LA River. Besides giving kids the opportunity to kayak, it will serve as a lesson and a testament to the ability of a group of people to enact change in their communities. To support this great work and learn more about how you can get involved, check out their project page. Thanks to New York City’s MillionTreesNYC Program, over 200,000 street trees have been planted around the city in the past five years. However, the new trees won’t make it another five years if they are not properly cared for. Join the Jackson Heights Beautification Group this Saturday, March 31 for a tree-care workshop. Beyond teaching you how to properly care for street trees, you will also learn how to share your tree care knowledge with others. If joining a grassroots tree care movement appeals to you, come to The Renaissance Charter School, 35-59 81st Street, Jackson Heights this Saturday from 10am to 1pm. For more information, visit the event page at http://on.fb.me/H6S8Uf. Hope to see you there!